Infrared heat and light is used to stimulate the body’s natural process for breaking down and releasing stored content in the fat cells. 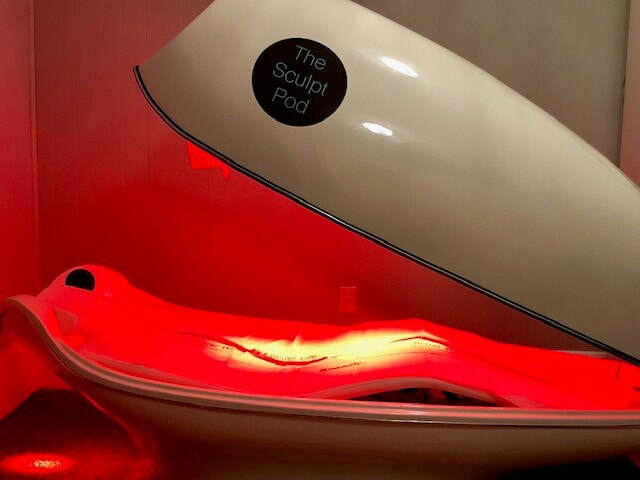 While inside the Sculpt Pod, you will experience whole body massage vibration to break down cellulite + stimulate the body to drain its fat cells naturally. When you use far infrared saunas for varicose veins and spider vein treatment, the heat from the sauna effectively dilates the veins (which is why your skin appears red after exposure to heat) and can help move intravenous blood and circulate it throughout your body diminishing the appearence of the veins. Is The Sculpt Pod for weight loss only? Clinical studies show that, yes, red light therapies have certain healing capabilities and medical applications thanks to the way they positively affect the human endocrine and immune systems. LLLT is now FDA-approved for treating conditions like chronic joint pain and slow-to-heal wounds. 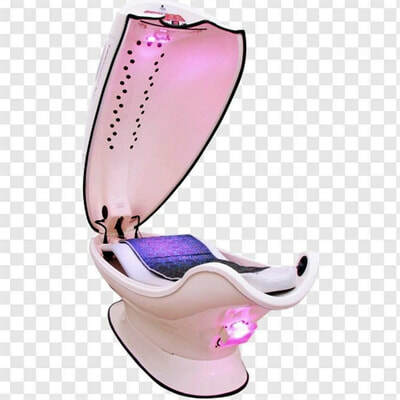 Red light therapy involves having low-power red light wavelengths emitted directly through the skin, although this process cannot be felt and isn’t painful because it doesn’t produce any heat. Red light can be absorbed into the skin to a depth of about 1-2 inches, at which point it has positive effects on cellular energy, the nervous system, and metabolic processes. 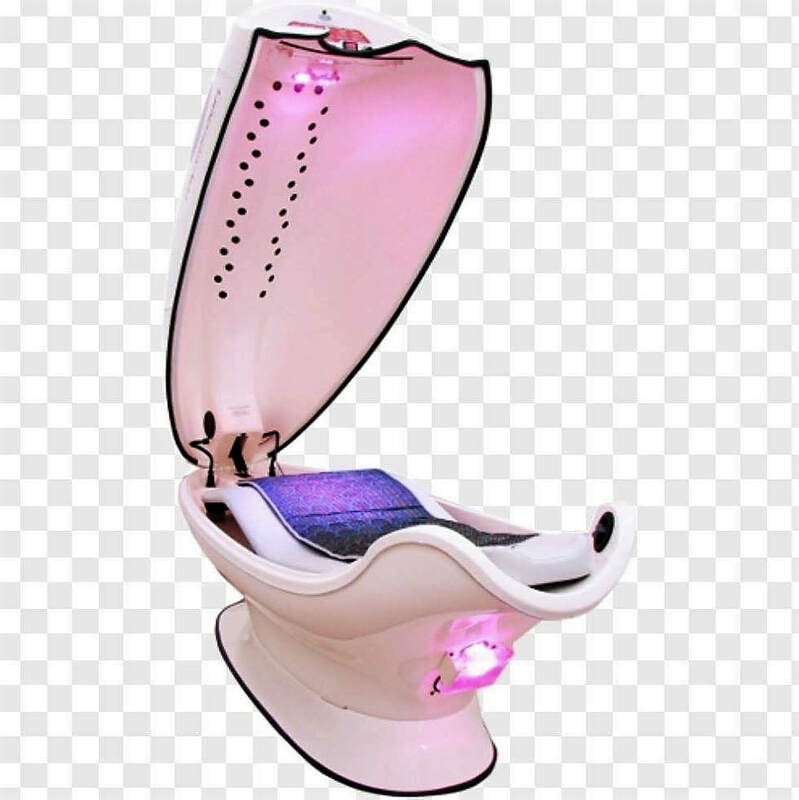 Red light therapy has shown promise for treating symptoms of joint pain or osteoarthritis due to aging, those caused by cancer treatments like chemotherapy or radiation, hair loss, wounds or incisions, acne, wrinkles and skin discoloration, chronic muscular pain, neurological damage, and tissue damage (often at the root of tears, sprains or pulls) and weight loss. Red light has been shown to be naturally energizing and correlated with improved moods by increasing self-confidence, positivity, passion, joyfulness, laughter, social awareness, conversation skills, and sensory stimulation. While results vary from patient to patient, there’s reason to believe that LLLT has mental and emotional perks in addition to physical benefits. Just as red and near-infrared light is showing promise for a host of health issues, this type of therapy has shown surprisingly effective results for fat loss as well. Unlike many solutions promoted for weight-loss such as medications and surgery, red and near-infrared light therapy provides a safe, natural and non-invasive option to becoming healthy and more fit. ​Our bodies absorb light energy - especially at certain wavelengths - and our cells respond by carrying out their day-to-day functions at an improved level. Not only does this help with things like skin health and muscle recovery, but it also plays a role in the body’s ability to process fat. It has been well documented that red light at certain wavelengths stimulates mitochondrial and ATP production. This happens as part of the cellular respiration process in which cells break down and convert stored energy - releasing waste products as part of this process. Overall, red light therapy has shown positive results for fat loss and body contouring across several different clinical studies. This type of therapy offers a safe, non-invasive alternative for helping people improve their looks and their health. It's safe to say you can add weight loss to the long list of benefits for the use of red light therapy! And you can find all of this in a 30 minute session inside The Sculpt Pod!